Welcome to Part Two of my Ninja Mega Kitchen System review, which is more of a “how to” at this point. (Missed Part One? Check out the Juicing post here). 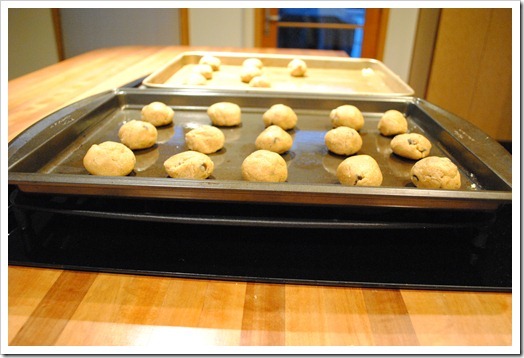 When I asked for requests of things to make with the new Ninja Mega Kitchen System, behind whole vegetable juice, the second most popular request was for cookie or bread dough. Truth be told, you don’t really have to twist my arm to make cookies.So, here we are, ready to make some cookie dough! I took the lazy way out with a cookie mix since I wanted to make gluten free cookies and wanted to make sure they would come out okay without endless trial and error. But, I’m sure you have a favorite cookie recipe and can imagine this being that recipe. I could handle those items! 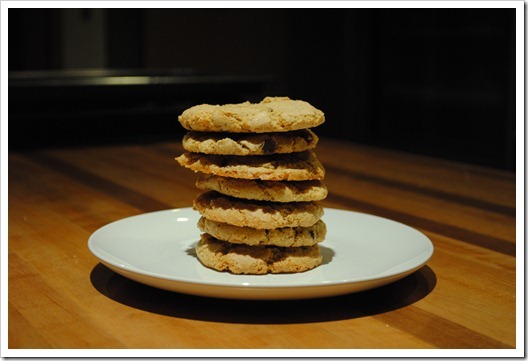 The principles for making cookies are the same, regardless of your recipe, so I outlined them below in step-by-step fashion. For this process, you’ll want the 64 ounce bowl (which is more like a traditional food processor) and the dough blade (plastic.) 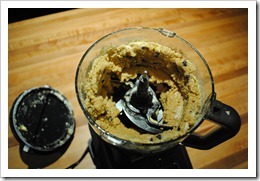 I followed the directions on the cookie mix, which was written for an electric mixer. 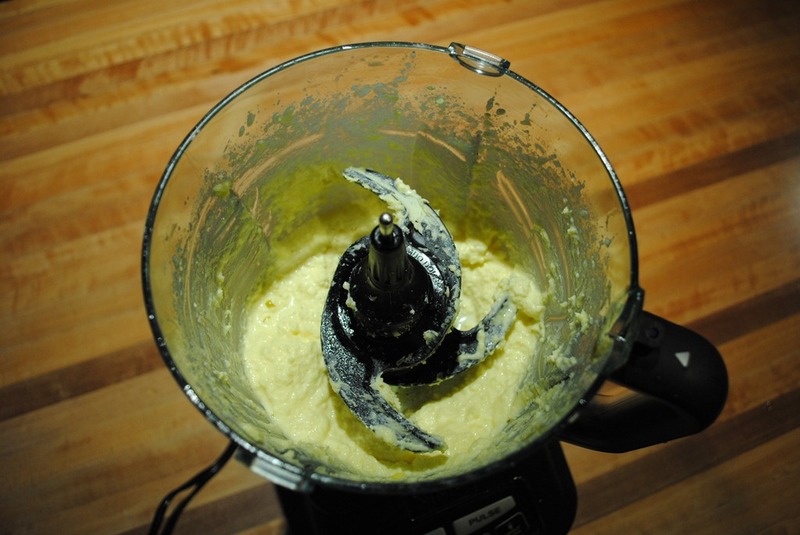 I added 1/2 cup butter into the bowl and then blended on “1” (Dough) until soft. 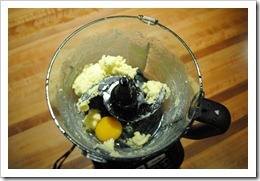 In this case, I only needed to add one egg and 2 tablespoons of water, and then blended on “1” for 30 seconds. After combining egg and water. Thanks to the convenience of the mix, adding the dry ingredients simply meant pouring in the bag of Bob’s Red Mill mix. I then blended on “1” for a bit shy of 2 minutes (the instructions said go for 2 minutes) because it was clear the machine was done mixing. You’’ll know it’s done with the pitch of the motor changes – it gets substantially higher. 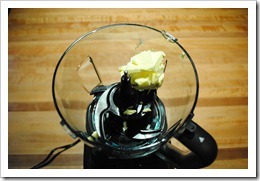 You may have to stop mid-way and push down the sides of the bowl, not unlike in a food processor or stand mixer. I stopped at the one minute mark and did this. 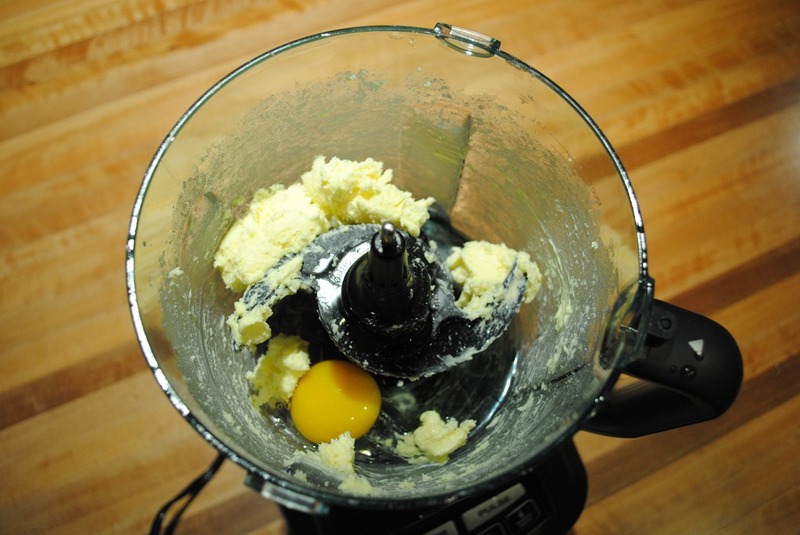 The Ninja Mega has suction cups that allow you to lock down the blender to the counter, and I can see the value here – with the power, you really do need to lock it down before blending dough. 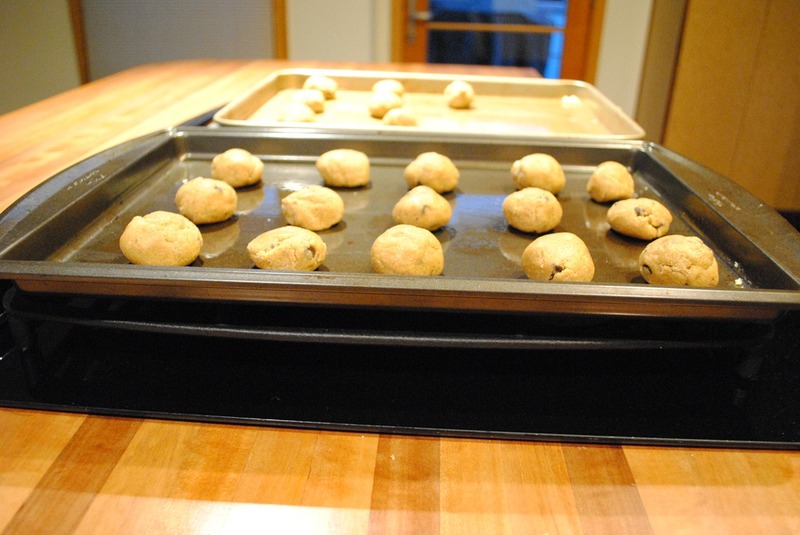 These cookies required 15 minutes at 350 degrees. When I noted I was making “gluten free” cookies, my live-in Cookie Monster, AKA, 2Chili, was not so into this idea. However, this tweet says it all! 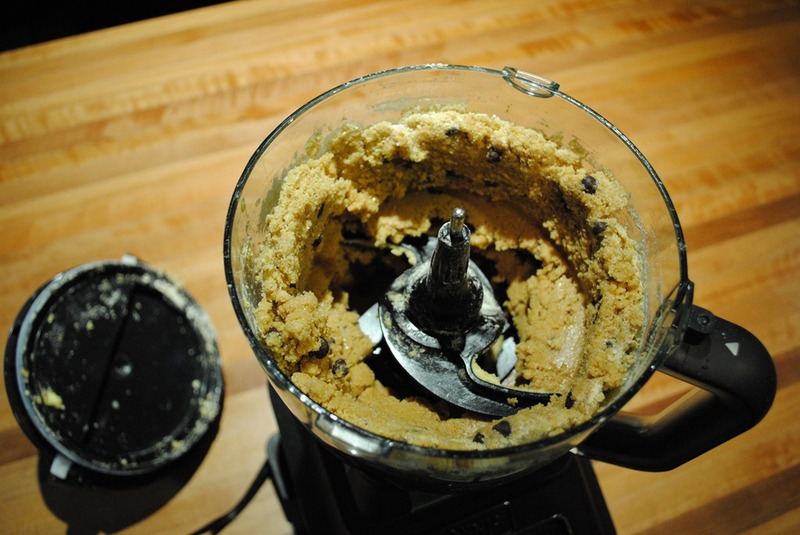 Bottom Line: Go from zero to cookie dough in about three minutes, with very easy clean up (just rinse the bowl and blade and pop in the dishwasher). 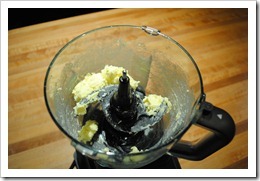 Was this easier than using a spoon and mixing by hand? Yes, very much so. Was this easier than using an electric mixer? Yep, and less mess too, from all the stuff that could (and does) fly out of the bowl while using an electric beater. 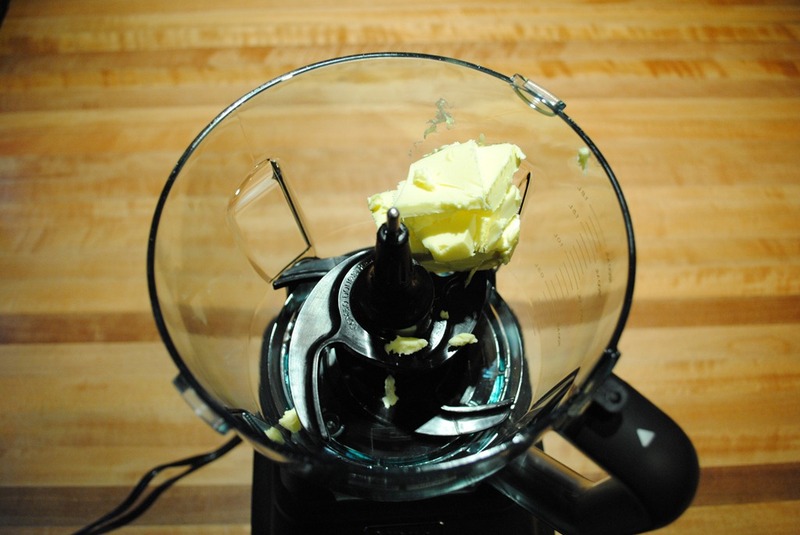 Was this easier than using a stand mixer? Eh, I’d say it’s equal if you have a nice stand mixer. But, if you have a nice stand mixer, you’re probably fairly serious about your dough and wouldn’t need this more multi-purpose system to make cookies! Thanks for reading, and let me know your questions, as always! Angela – I’ve been stalking the site waiting for the review on the MEGA Kitchen (did I mention I’ve had one sitting in the basement for a couple of weeks waiting for your test drive?!) – thank you! I read the juicing one as well – will you be doing anymore? Thanks again! Today I will be making up some sort of nut butter that uses the smaller prep bowl and blade (will write about tomorrow), and, will probably do a new smoothie in the single serve cup as well. I will likely make rice milk, and maybe some oat flour as well. My goal is to use all of the various pitchers and bowls so I can truly tell you all about the whole machine. What else do you want to see that I am missing? I am open to suggestions, so let me know! We only have a kitchen through Saturday though, so time is of the essence! Awesome – thank you! No real suggestions, though, personally, I do plan to use mine to make batters out of soaked lentils (for dosa and idli, specifically). But I think your nut butter will approximate this closely enough. My Ninja prep does an OK job of grinding down the lentils, but it’s never quite as smooth as I’d like. I’m also looking forward to reading how your smoothie turns out, though your green juice from yesterday was a good preview – I want to see if you really get snow like they do on the infomercial! Other than that, I’m just thrilled that you’re doing it, since there are NO other worthwhile reviews for the system that I can find online. Thanks again! Okay, cool, Mona. For what it’s worth, I was able to make snow with the original Ninja (http://testkitchentuesday.com/2011/08/18/making-snow-with-the-ninja-blender/) so I am confident it can be done in the Mega. 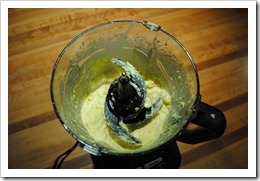 I just made the cashew butter and it turned out great, but I will post step-by-steps for you. By the way, I would love to know your dosa recipe! Yum! Angela – wanted to let you know that I made idli batter this morning in the MEGA and it turned out fabulous! I’ve never been able to make it so smooth – I couldn’t be happier! I got my Ninja Mega Kitchen system about 10 days before you did. I can not believe that I like it and use it as much as I do. Items from infomercials tend to scare me. I have done everything but make cookie and bread dough so thank you for doing this. I made sweet potato pie recipe in it and I was thrilled. Also a cheesecake recipe but since I added all the ingredients at once instead of following the recipe it wasn’t the right texture – that was my bad not the machine’s. I now need to clean out my old mixer and food processor and smile at the extra room that will be on the shelf. 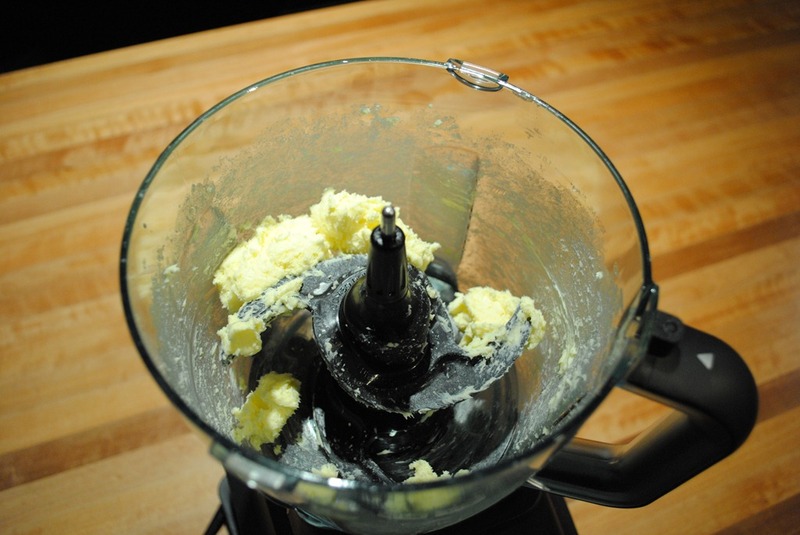 Did you purchase the food processor blades with yours? I did, but so far have not used them. If you have them maybe grate, dice, crinkle cut some different items? Or make a salsa? Thank you. Awesome that you are liking the Ninja Mega! I didn’t get the food processor accessories (clearly, I need to get them). Thanks for your ideas — items for the future, no question! Need to know how many cups of flour the Ninja can hold for bread. It says for 2 lbs of dough 2 cups flour ..roughly so about 14 to 16 rolls…so how many cups of flour for say 24 rolls? And is there a recipe for a larger amount? Which model are you using? The jars vary in size, so it will vary. 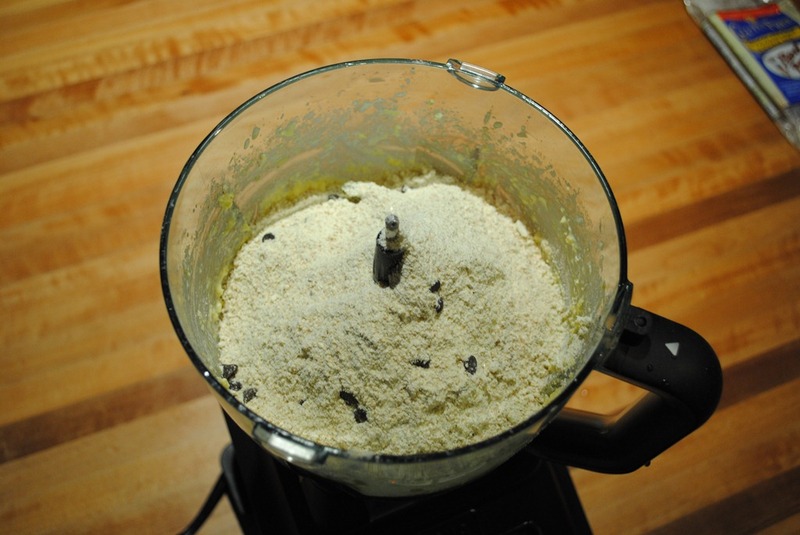 If you are using the Ninja Mega KS 64 ounce food processor bowl, it can certainly hold 3 cups of flour. If you are using the Ninja Pulse, it probably can’t hold more than 2 cups at a time. I am not sure what recipe you are looking at, but I would just scale it by 1 & 1/2 to give you the 24 rolls (if you recipe makes 16). So, if your recipe calls for 2 cups of flour, use 3, etc. Devika – I have found that smaller batches in the single serve jars work the best for things like idli and dosa batter. Because the ingredients are so small, I find it difficult to get much to happen in the larger jar. With my system, I don’t have the smaller mini prep bowl that Angela used to make nut butter, so the single-serve have been the best for this type of thing. 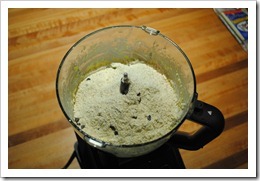 I even made flour out of urad dal in the single serve – several cups in under a minute! Thank you for your help, Mona! This is not something I have ever made, so I appreciate you chiming in! I’m quite happy (so far) with my new Ninja system, although there are still many things I need to try first before I can render final judgement. So far I like most the single serve cups; anything I tried turned out great. The only problem are the lids (not close-able), but I’ll try to order the new “pro”-type lids that come with the new Ultima blender. They seem to fit, at least from the pictures. And at $3.95 it is a little risk with great potential benefit. 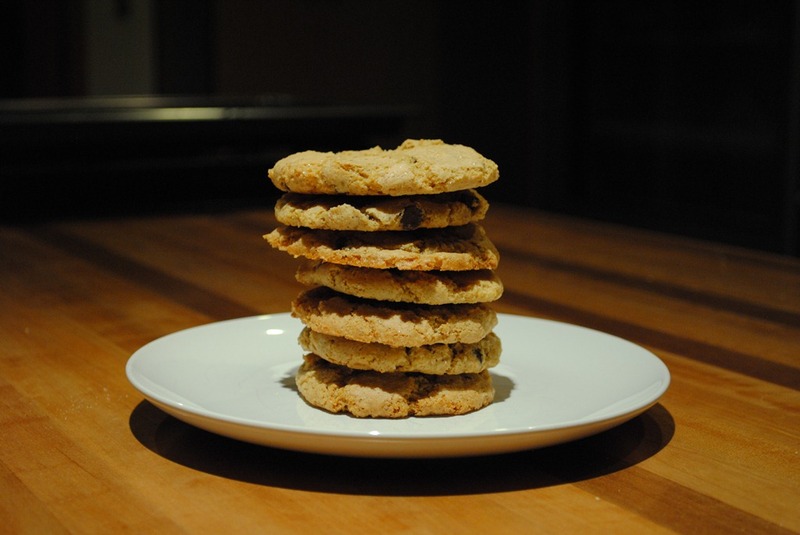 First, different recipes require different consistency of dough, and therefore different speeds. That’s impossible to achieve with the Ninja, it only has one dough speed and it seems to be way too fast for most of my recipes. Second: Dense dough (like for some breads, etc) is almost impossible to get out of the Ninja when finished, due to the swirling shape of the blade. Comparing with a stand mixer’s flat blades, I either have to spend an awful amount of time getting the dough out of these endless curves, or I have to waste 15% of the dough by simply washing off the blade in a sink. Third: If the dough contains active yeast, the Ninja process heats the dough up to dangerous temperatures (yeast dies at 140 F) so the final product comes out of the oven flat because it will never rise enough (if at all). All very good points – thanks for sharing! We don’t make a lot of dough around here, so, I really can’t comment that much on dough. I can totally understand what you are saying, though. I wonder if the Ultima would be better with dough, since it has more speed adjustments – I really don’t know. One thing you might want to do is chat with a Ninja rep about the lids just to make sure. They are very helpful on chat on their website, so, it’s worth a shot. I read your post of December 26 with interest as I recently purchased the Ninja 1500 with the dough jar thinking it would replace my bread machine that died. I have yet to make bread, buns or rolls with success. They just don’t rise. I’ve tried different yeast and ways of adding ingredients but nothing seems to work. Your comment that the Ninja heats the dough too high is interesting but then why doesn’t the dough feel warm when you take it out of the jar? I thought maybe I wasn’t leaving it mix long enough or mixing it too long but it doesn’t seem to make any difference. I would welcome other readers’ responses to making bread in the Ninja. There has got to be a way without killing the yeast. I have my own recipes for cakes, cookies etc which I don’t know how to adapt to my Ninja 1500 which I have just purchased.